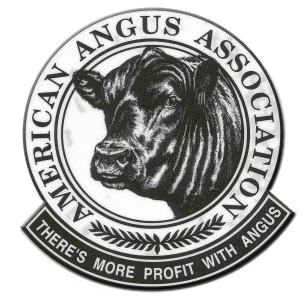 Our goal at La Roca is to put together a “Rock Solid” set of Angus genetics to produce seed stock for registered and commercial cattlemen. As with the whitetail operation, special care has gone into selecting genetics for the economically important traits that are so vitally important to the Cattle industry. We made selections from McKellar Angus including JMc Breeva 1360 3991. 1360 is a daughter of Consensus out of Breesha of Conanga and was the top selling lot in their Fall 2016 sale. Other donor purchases from McKellar included JMc Executa Rona 1395. This deep bodied powerful female is by Connealy Sullivan out of Executa of Conanga making her a maternal sister to Connealy Mentor. The lot 1 and 1A females from the same sale were added as donors. The lot 1 female, McKellar Blinda Bree 2367 is a maternal sister to Consensus and her Ten Speed daughter is making a powerful female. Purchases from Cox Angus include Cox Chronicle 5204, a Ten X son out of Rampage’s mother. We also added Cox 144 Evergreen 5524 to our donor pen. This female is by Rampage and out of the $60,000 Cox Predestined donor purchased from Steve Hillhouse in 2014. Other donor quality females have been added from Black Diamond Angus, Evans Farms, Turner Meadow Ranch, XL Angus Ranch, Elm Creek Cattle Co, Langford Cattle Co., Wendell Gibson, 2 Bar Angus and most recently from 44 Farms. We feel fortunate to be working with Todd Stroud of Hoofstock Genetics with our donor program.